The advent of the internet made one, more than learning the various cultures and ethos of so many human communities around the world, yearn for things that were previously you haven’t thought of. And one of them is taking a trip to some place like London for instance, before I only read this place in Philippine History books as a stopover of Jose Rizal, but now with the advancement of internet, you can now virtually tour around it, see what’s in there to enjoy, one would really long to experience what it’s like to roam around the town of a prince. siya pala si prince william..
Haguy, my dream boy, hanggang dream na lang jud nyahahaha. Liwat jud sya ni Princess Dianne no Vernz? i always remember lady di when i look at this boy, he has her mother's eyes. 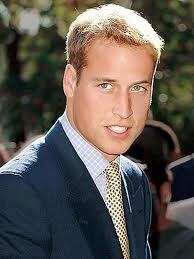 Handsome, fine man Prince William. Visiting via TBE.